I have a good friend who joined the Catholic Church about 5 years ago. When people ask him why he became Catholic, he will reply, “I found beauty there!” Recently I was talking with him and I asked him if he prays the Liturgy of the Hours. He said he used to but doesn’t seem to have the time because there are lots of other good thing that he wants to do like pray the Rosary and the Chaplet of Divine Mercy. That got me thinking about how the Catholic Church has many gifts and tools to help us draw closer to Christ, but that is exactly what they are…tools! Protestants often think Catholics are just into religious ritual. They are right if we allow these tools to stop there and do not allow them to draw us upward and closer to Christ. All these tools are meant to help us encounter Christ in a deeper way and draw us into contemplation. If they do not draw us closer to Jesus and they are just something we do because we feel we should and they become burdensome, then maybe we need to take a step back and reevaluate the things we are doing. Another area my friend struggles with is the idea of devotion to Mary. Again, Mary is a gift to us to help us draw closer to Christ. Mary’s soul Magnifies the Lord (Luke 1:46). Philippians 4:8 Says, "Finally brethren, whatever is true, whatever is honorable, whatever is just, whatever is pure, whatever is lovely, whatever is gracious, if there is any excellence, if there is anything worthy of praise, think about these things." When we look at Mary and behold her beauty, we can know that her beauty is just a fraction of God’s beauty and should draw us upward to her son! Mary is also the perfect example of what is possible for all of us with the help of God’s grace. She is the new Eve. The one that said yes! Sin entered the world through the first Eve but through Mary’s yes, grace and salvation entered the world. That is something to celebrate! Another amazing tool we have as Catholics is the Sacrament of Reconciliation. What an amazing gift to impart God’s grace and bring us into closer union with him! 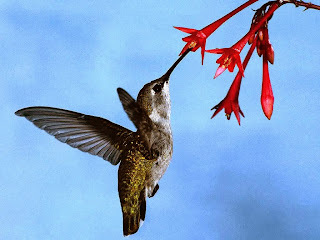 The Lord once showed me that when we take advantage of this Sacrament, it is like a humming bird drawing deep into a flower and pulling out the sweet nectar. One thing that has brought me great consolation especially during times of suffering has been the Eucharist. When Jesus resurrected from the dead, he still had his wounds and he allowed Thomas to touch his wounds. When we receive Jesus’ body, blood, soul and Divinity in the Eucharist, we can touch his wounds and join our wounds to Christ’s wounds. There is no greater intimacy we can have with the Lord! I often feel bad for people that lose a loved one or go through tremendous suffering but they do not know about the intimacy we can experience by receiving Jesus in the Eucharist. Last but not least, God wants us to enjoy the journey! In my prayer time not too long ago, the Lord, in my mind, took me on a hot air balloon ride. There was a big pillow on the bottom of the balloon basket. I lied down and told the Lord to “Wake me up when we get there.” He then got me to stand up and notice the beautiful scenery, and the cool breeze against my skin. We are not just supposed to focus on getting to heaven but relish in all God has made and our relationship with him. I think about St. Francis whose feast day is coming up on Oct. 4th. He experienced tremendous joy even in the midst of suffering. He was able to see God in all of His creation and everything in creation drew his attention upward towards God and brought him closer to him. As we start a new day let us ask for God’s grace to see Him in everything we do and let the beauty we experience draw us into deeper union with Him!